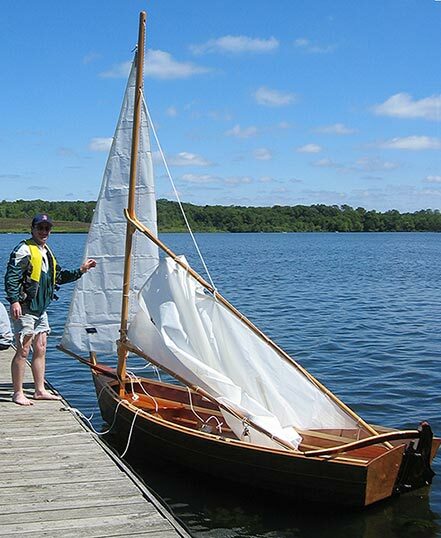 Tom Diehl launched CEPHEID on August 29, 2001 on Shabonna Lake in central Illinois. CEPHEID is an Arch Davis Sand Dollar design, 12' long. 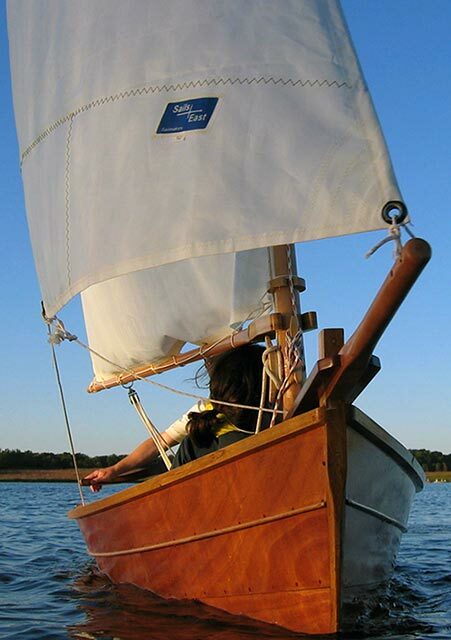 Tom built her of Okoume plywood, ash, oak, and mahogany, finished with epoxy. The spars are Sitka spruce. 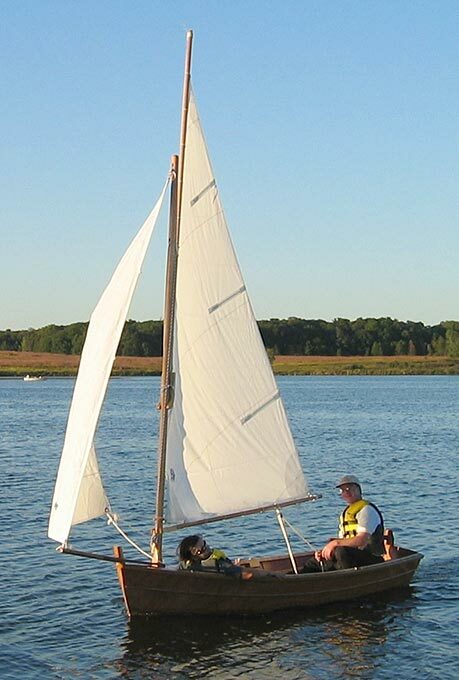 Tom modified the original rig by extending the mast and adding a small jib on a removable bowsprit. Tom gets his mail at 1116 Clover Court, Batavia, IL 60510.